Here's a look at the new SimCity that checks in at more than six minutes in length and focuses on things like gambling, community and crime. Lead Designer Stone Librande is the voice behind the lengthy gameplay demo for the upcoming SimCity you see at the head of this post. Librande built a city around casinos, but this video shows some of the things that can go wrong when gamers don't plan properly for power and crime control needs. This video comes as part two in a gameplay reveal series that focuses on the finite workings of the new SimCity. You'll find links to other SimCity videos and trailers, including part one in the series, on the right side of this post. The clip also sports a healthy chunk of what players will buy into if they choose to pick up SimCity. This game requires both EA's Origin service and an always-on internet connection to work. 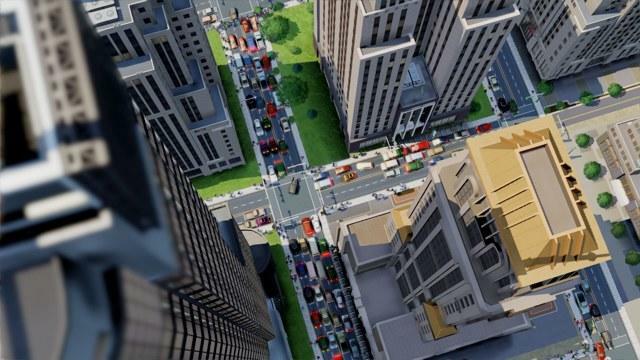 EA and Maxis have assured gamers that the online connectivity is central to the new SimCity experience. Part of that is shown off with things like leaderboards and city connectivity in the trailer. While I don't really dig the always-online requirement, the interaction between two cities in the video is intriguing. I like the idea of building near a friend and trading resources or collaborating on big projects. I'm not used to it as a SimCity gamer from way back, but it's something that I'm interested in trying out. How's the new SimCity looking in your opinion? SimCity is set to hit the PC and Mac platforms on March 5th, 2013.